Brocante Gourmande at Shop 23, who are well stocked with an abundance of vintage French kitchenalia including pots, utensils, china, cake tins and more, all sourced from Brocante Markets in France. 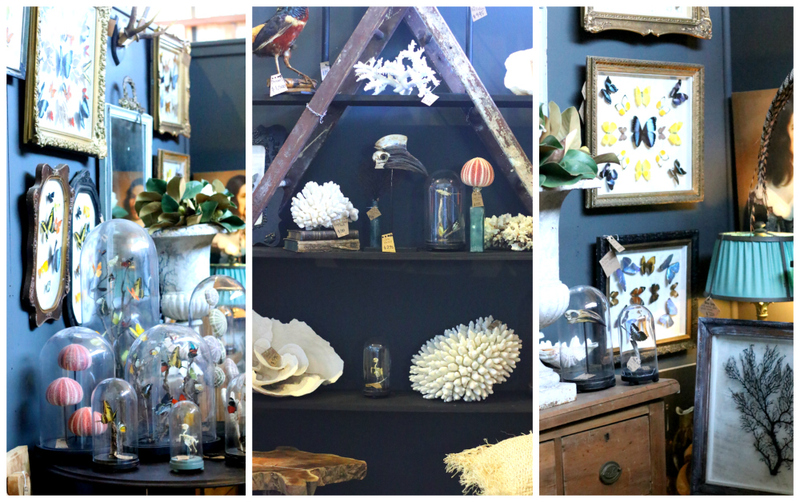 Deborah Cronin Design at Shop 305 offers a stunning selection of unique pieces including vintage framed butterflies, artworks, lamps, coral, taxidermy and furniture. It’s impossible to walk past this fascinating space. Can you believe Mother’s Day is just around the corner? The Tea Salon has already booked out for high teas on the day, but don’t worry you can take one home (or to the park) for Mum instead! 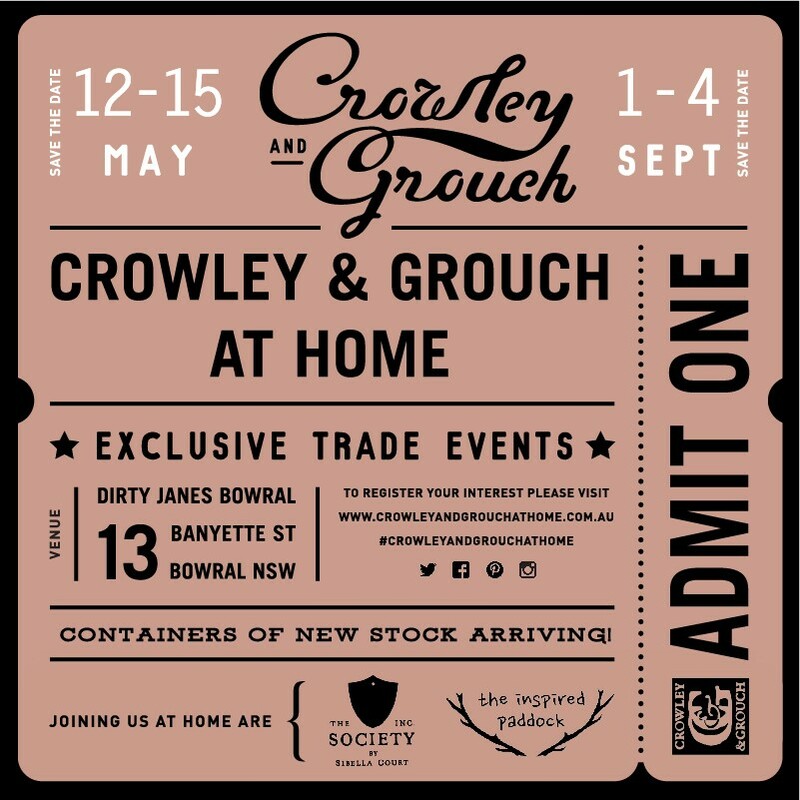 Crowley and Grouch AT HOME event was such a success last year, we’re doing it all again this year – twice in May and September! The first of these TRADE ONLY events for 2018 will take place at Dirty Janes Bowral starting next Saturday 12th May until Tuesday 15th May. Come along and shop their renowned range of quality vintage products that will set your store or styling job apart from the rest. * Dash & Albert – Discover for the first time AT HOME the stylish, timeless and constantly evolving rug offering from Dash & Albert, internationally renowned and highly sought-after impressive range of handmade flooring solutions, that effortlessly take centre stage time and time again in designer spaces. * The Fingerprint Tree – The Fingerprint Tree will be offering an extensive collection of hand drawn artworks, cushions, paper and cards at AT HOME this May. We have no doubt you will be impressed with the quality, detail and incredible artist skill that goes into every piece from The Fingerprint Tree. * Gramon – Gramon have designed exclusively for the AT HOME event a range of trade only lines as well as a selection of one of products made from vintage linens. Items include French linen fronted aprons, cushion made from vintage linen monogrammed napkins, velvet backed heavy natural linen cushions, lavender bags and Scottish linen cushions in a range of fabrics and sizes.